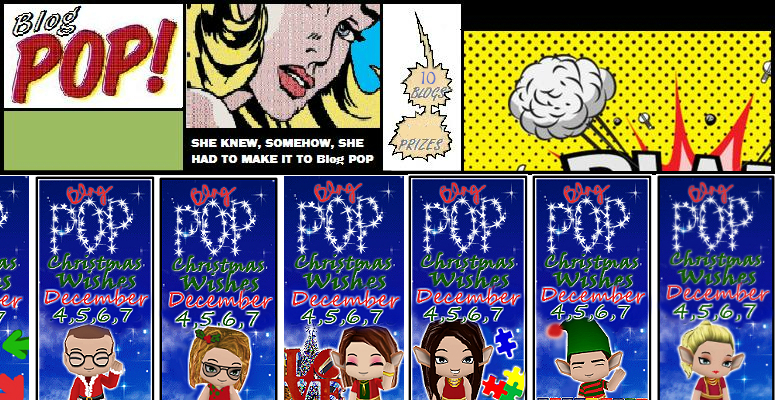 Kicking off December 4th, and running through December 7th (giveaways running through December 21st) is Blog POP! 's annual Christmas Wishes giveaway event. Don't celebrate a Winter holiday? No worries, this event is still for you- whether you're celebrating the first snowfall, some extra time to gather with your family over Winter Break, or simply the return of ugly sweaters, we have a prize to tempt you. All 10 unique Blog POP! blogs will be bringing a minimum of one exciting $40+ value giveaway each day for three days. Visit one of the hosting blogs to follow along with the Giveaway LINKY, and be sure to enter daily to maximize your chances.